Bake cupcakes and add white frosting. Add green sprinkles or chocolate sprinkles. Print the Counting the cost template off and cut it out. Tape to a toothpick and stick in cupcake. Take these cupcakes to childrens church or Sunday school class for the kids to eat. 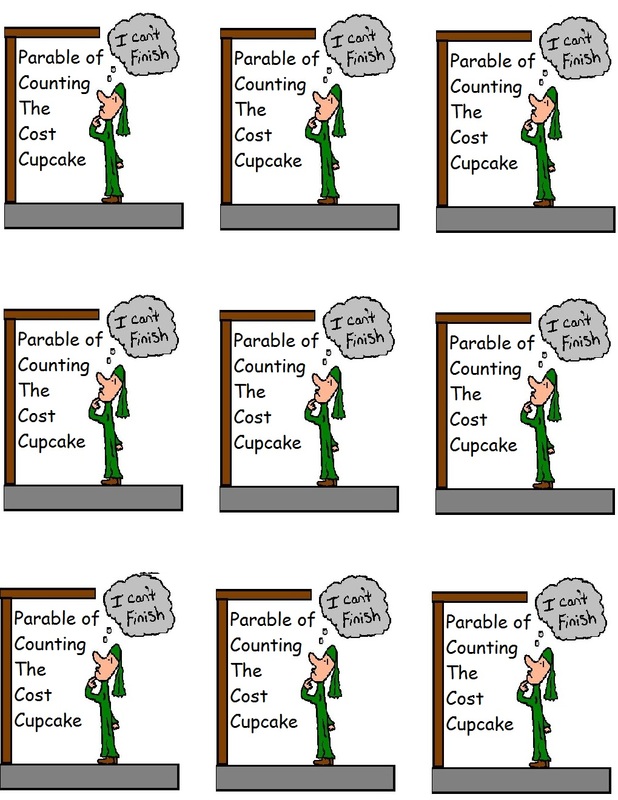 Teach the kids about the lesson on the Parable of counting the cost.